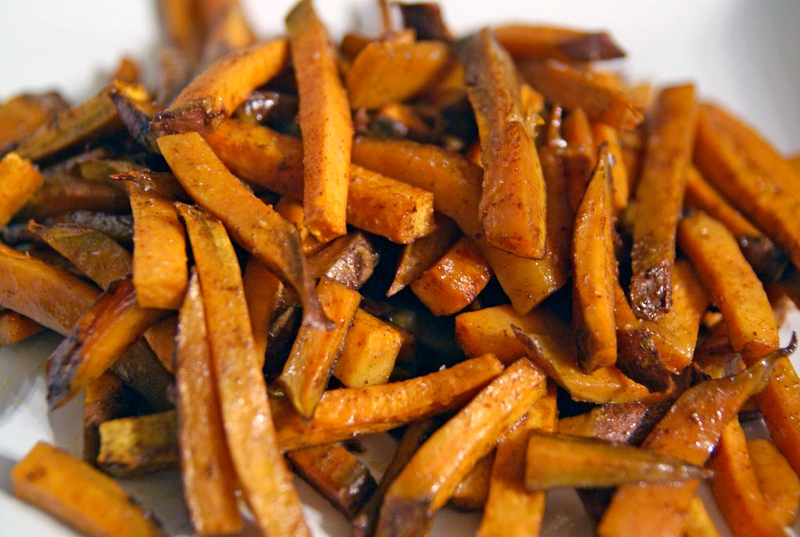 Just in time for Thanksgiving (if you’re feeling like changing up your sweet potato dish a bit) comes this recipe for baked sweet potato fries, with a hint of sweet and a hint of spice. Easy to prep, quick to bake, and loved by all. Seriously, everyone will love them. 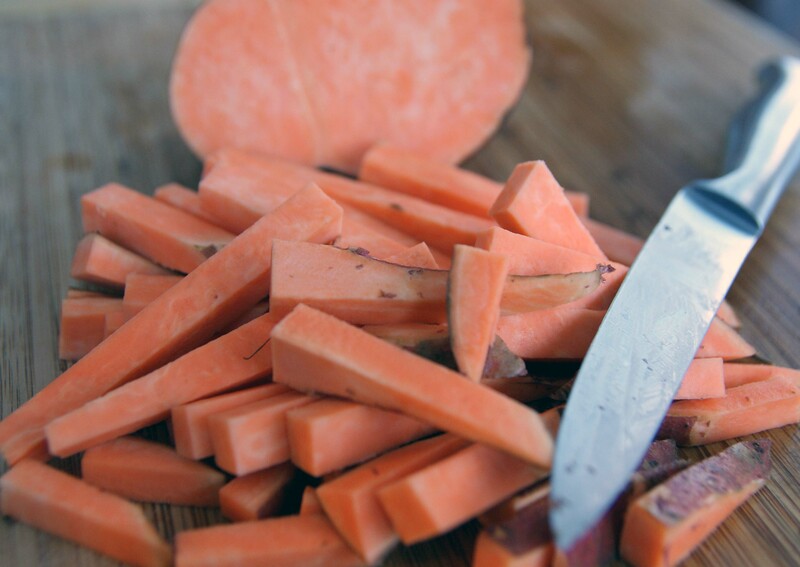 Cut the sweet potatoes into 1/2 sticks, as long or short as you'd like them. Put the cut sweet potatoes into a bowl, drizzle the oil over the top, then add the spices. Toss or stir to coat, trying to get them all as evenly spiced as possible. Spread the fries evenly onto a baking sheet, trying to keep them in a single layer. Bake for about 18-20 minutes, or until tender, turning them once about halfway through. Secret: I can’t get into sweet potato fries. I guess I just want the starchy, non-healthy indulgence that is Russet french fries. I must be the only person in America who has so far resisted the sweet potato fry, because I see them all over the place, but . . . nope. Can’t do it.